The Artisans of Naqala is an expansion to Five Tribes, the board game of worker movement and tile hopping. 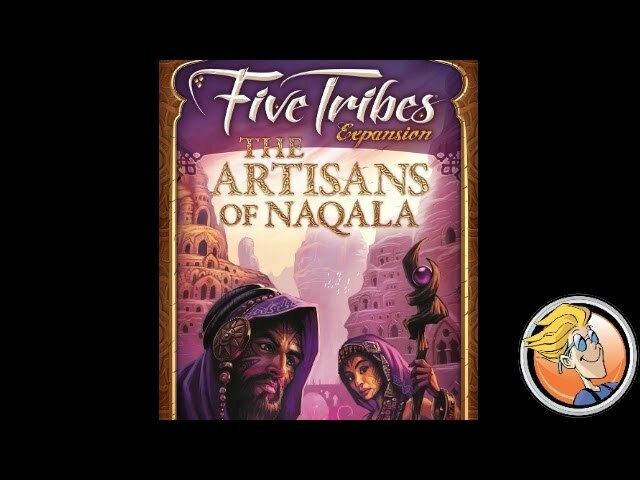 Five Tribes forces players to use their wits and planning in order to navigate the villages, markets, oases, and sacred place that make up Naqala. Each turn, players must pick up and drop their workers over the various tiles. leaving trails of workers behind only to activate the final tile they land on. The Artisans of Naqala adds new types of tiles and workers, allowing players to craft precious goods or magical items. The game also changes how the game’s central mechanic functions by adding impassable chasms and mountain markers, forcing players to adapt to this new paradigm. Buy The Artisans of Naqala if you want to add a touch of magic to your Five Tribes experience.